The 68th Berlinale begins on February 15th. It’s an unmissable event for cinephiles and the industry as a whole, but above all it gives us a chance to get an idea of what we mean when we talk about “European cinema”. Parallel to the events which have always formed the heart of the festival, increasing importance has been given to spaces for dialogue and reflection on cinema, and on the rapidly changing conditions of production, distribution and consumption. For years, European programs such as Europa Cinemas have supported the circulation of European cinema, connecting cinemas and providing financial and operational support to cinemas which screen films from across the continent. But the profound changes that are transforming how cinema is consumed, such as fragmentation and national specificities, highlight the need to develop new models and tools to support the big screen. This is precisely the focus of the European Film Forum , a platform financed by the European Commission which promotes discussion and reflection on cultural policies which can support better and more widespread circulation of quality European cinema. The forum will take place at the Berlinale on February 19th. 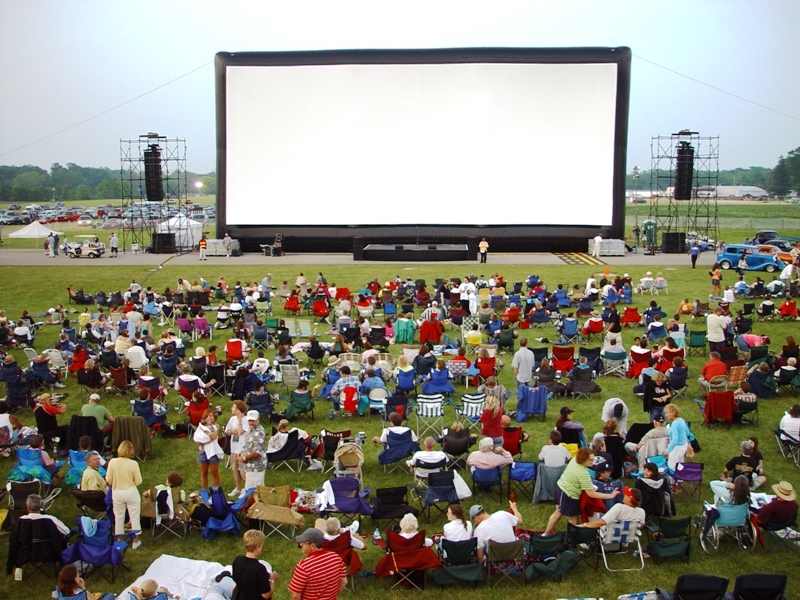 Numerous studies show that the growing popularity of Video on Demand (VoD) poses a risk to cinema admission numbers . Nevertheless, if we look at the figures for admissions and revenues, things are not so bleak, especially in the east. According to data gathered by UNIC (which looks at cinemas in 36 European countries), both admissions and profits are growing in all the Visegrad countries (Poland, Hungary, Czech Republic and Slovakia), as well as Estonia, Lithuania and Romania. While admissions, revenues and screen numbers are in constant growth, these figures are still low, in absolute terms, compared to countries where cinema-going has had more time to consolidate: France, Ireland and the UK have a rate of admission three times that of the east, and a big influence on this is surely the lower price of tickets, relative to average salaries . The recent growth in these regions nevertheless makes a change from the earlier situation of decline and abandonment. Up until the start of the nineties, cinemas were in large part controlled by the state. Over the course of that decade many cinemas had to close their doors, and the disappearance of cinemas profoundly changed the social and urban landscape of many city centres. Today that crisis seems to have been partially overcome, thanks to a slow recovery of the big screen, and the new protagonist of that recovery, multiplex cinemas. The largest operator in this sector in central and eastern Europe, also active in the UK and Ireland, is the Israeli company, Global City Holdings , which also has a strong presence in the entertainment and real estate sectors. Global City Holdings has 225 multiplexes and 2109 screens in the UK, Poland, Israel, Hungary, Czech Republic, Bulgaria, Romania, Slovakia and Ireland. In Romania, for example, the majority of investments in the sector are from Global City Holdings, which in the space of just a few years opened 26 multiplexes . More than 50 percent of screens in the country are owned by the company. In contrast, the public company RomâniaFilm , which at one time managed hundreds of small cinemas, now owns just over a dozen. While the opening of new multiplexes has compensated somewhat for the inequality between western Europe and new member states in terms of cinemas per capita – Romania for example has a fifth of the number of screens in France and Ireland – one can still ask how the multiplex model can promote a diversity of films, and prevent the increasing homogenisation in programming, which certainly doesn’t benefit quality, lower-budget European productions. European viewing habits are also characterised by strong differences, in particular when choosing between national, European or international (mostly American) cinema. According to the data gathered by UNIC , only 12 countries out of 26 had homegrown cinema in the “Top 5” films of 2016. The constant battle between European cinema and Hollywood affects the European market as a whole: a recent study by the European Audiovisual Observatory shows a significant gap between European and American productions relative to distribution and returns. European films on average are distributed in only 2 countries, while American productions are generally distributed in at least 10 countries. Evidently, such scarce distribution may explain the struggle to reach public favour, but there’s a little more to it: when they reach the cinema, European films are not always preferred by the public. European films represent 64 percent of feature-length films that are screened, but they only generate 27 percent of total admissions, while American films, which represent 16 percent of films screened, generate 70 percent of admissions. Then there’s the stark contrast between the success of certain films throughout Europe, often boosted by successes at festivals or word of mouth, and their disappointing reception in their country of origin. New Romanian cinema, which has generated twice as many admissions in France and Italy than in Romania, is emblematic. Take for example 4 Months, 3 Weeks, 2 Days (2007) by Cristian Mungiu, winner of the Palme d’Or and the European Film Award, which sold 350,000 tickets in France, 142,000 in Italy, but less than 90,000 in Romania. This gap has gradually reduced with the growing fame of the director, but not by much: his most recent film, Bacalaureat, has still sold twice as many tickets in France as in Romania (103,000 in France, 54,000 in Romania). Despite the resilience of the big screen, the future of European cinema also depends on Video on Demand distribution. According to a study financed by the European Commission, European productions represent on average 23 percent of streaming services’ content. Precisely for this reason, as part of the reform of the Audiovisual Media Services Directive (AVMSD) currently under discussion, the European parliament has proposed the introduction of a quota of at least 30 percent of European content for Video on Demand platforms. The parliament’s culture committee has also proposed that national authorities can ask streaming platforms to contribute to national funds for cinema, with contributions proportional to returns in the country concerned: a proposal which isn’t likely to receive a warm welcome from distribution platforms which are also producers of content (for example, the two giants of the sector, Netflix and Amazon). All eyes are on Berlin, then, not just for the drama of the award ceremony, but also for an understanding of the new strategies and ideas which aim to support European productions and promote their enjoyment by an ever growing audience.